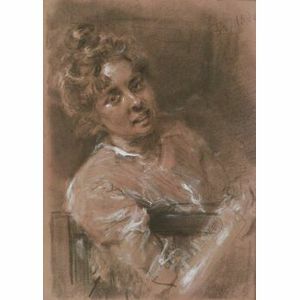 Fritz Karl Herman Von Uhde (German, 1848-1911) Sketch of a Lady. 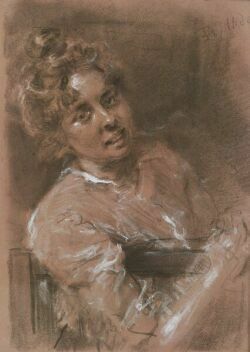 Sketch of a Lady. Signed "F.v.Uhde" u.r. and l.c. Chalk and charcoal on terra-cotta paper, sight size 12 1/2 x 9 1/4 in., framed.